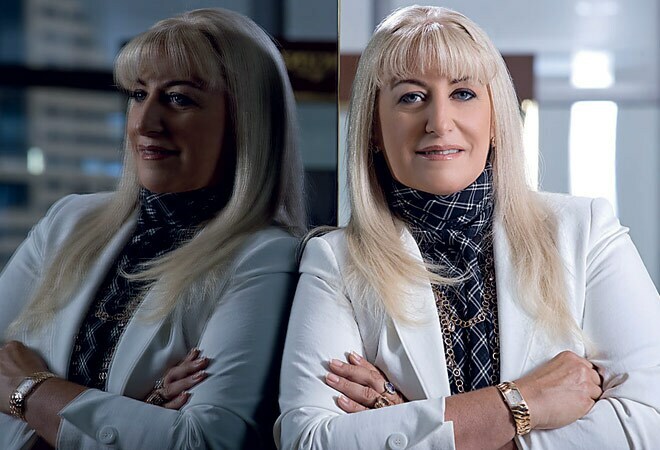 Nayla Hayek, chairperson of Swatch Group and CEO of Harry Winston, discusses the stunning Opus and increasing the company's presence in India. Those disappointed by the absence of the well-known Opus series at Baselworld will continue to be so till the end of this year, or the beginning of the next. The problem is, the concept behind Opus is to have a very special watch. For that, we have to work with some more-or-less crazy watchmakers, independent ones, making it very special. But it was good that we gave more prominence to (the rest of) Harry Winston. For the moment, the idea is to have an exclusive event for Opus. According to me, boutiques are the most important medium to showcase the brand. When you see the pieces laid out there, you get a sense of what the brand. It's also important to promote your image through investments. Harry Winston is making quite a few investments, including some in philanthropy. I think people get annoyed when they are bombarded with ads on their iPhones and annoying customers is not a very good idea. The most important thing is to to be true to your DNA. Harry Winston may try to be in more places across the world, try to inform more people about the brand, but will still remain very exclusive. You have to grow within the brand first, create more special pieces, satisfy your old clients, not go in other directions, and try to achieve new clients by talking to them. Through all this, you should still remain exclusive and not spread out. Markets of UK, US and Japan are the most informed about Harry Winston as a brand. But we can't become complacent, and have to work towards explaining the brand and its history in other parts of the world. As for India, I love the country with all its positives and negatives. It's very difficult to develop a high-end brand in India because of the prevalent laws. Another headache is the Indian rupee to the Swiss Franc conversion rate. We have a really wonderful team working here, but we lose money every day because of currency exchange. Nevertheless, we are really pushing to get our first Swatch flagship store in India. Wilhelm Schmid, CEO of A. Lange & SÃ¶hne, on the latest developments in watchmaking, and the need to balance traditional values with modern technology. I believe it would be very arrogant of anybody in the world to not take a country like India, with well over one billion people, seriously. India has some very very wealthy people, and also those who know a lot about watches. At present, we are looking for somebody familiar with the local market, the right candidate, to handle affairs in India. Why don't we have a grand complication this time, you ask? Well, it just wouldn't be right if we bring out the most complicated watch a country has ever built every year. But I would not say that this year's novelty range is full of medium innovations either. The Richard Lange Perpetual Terraluna, for instance, has constant force, two weeks of power reserve, a moon orbital indicator that's accurate by 1,058 years, and possesses 787 different parts and 80 rubies. That's not medium - that's top-of-the-range. Now, how we can deal with the changing times is a philosophical question that I may not be able to answer most satisfactorily. Though I believe in traditional values, it does not mean that we should repeat what has been done before. There are a few instances when we really pushed boundaries and re-established rules. For example, check that little moon-phase disc that we just introduced for the Lange 1 and the Terraluna. That required a lot of technology, not only in the watch but also in producing it. 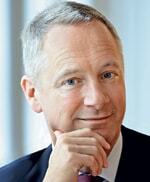 A. Lange & SÃ¶hne is a member of the Richemont Group, and for a small brand like ours, it is a huge asset. If we have to open an office in Hong Kong or employ somebody in the US, it would be very expensive and slow if we had to deal with it by ourselves. Richemont's massive infrastructure helps us on that very count. They, however, do not involve themselves in product development, marketing strategies, or the manner in which we invest. Here, everything is autonomous. We do join forces, but we also keep our secrets very close to the chest. Marc A Hayek, CEO of Breguet, Blancpain and Jaquet Droz, speaks on the business of manufacturing time, and marrying the contemporary with the classical. To create a watch, one should understand the spirit behind its history. Our DNA is not about repeating what has already been done, but trying to respect the spirit of what JD would want to do today. We adhere to traditional values at Breguet, where you will always see tank-shaped dials and classic pieces with Breguet hands, but the development involves a lot of innovation and a desire to avoid senseless repetition. A long term strategy always works, and our figures show just that. All the three brands (Breguet, Blancpain and Jaquet Droz) have, thankfully, shown strong growth and progress under my direction. And as it's been a record year for each of them, I can't complain. The new Blancpain Perpetual Calendar was a challenge because it was something very emblematic for the brand, and also successful in sales. We had to bring it to the new generation while continuing to maintain the classic look and feel. What got on our technical team's nerves was the fact that after the work was finished, they had to re-do a large part of the technical work because the movement has to be adjusted - and the propulsion matched - to the size of the case. It took a lot of work to make it seem like only a little was done. Well, the effort paid off, and the first result was very successful in sales. We already had this existing movement, sure, but we had to upgrade it to the modern day. That may not seem like a big project in theory because we are just building on what already exists - you could even call it a facelift - but in the end, the watch is 80 per cent new! One change leads to another, which - in turn - leads to the next, and we end up rebuilding the entire complication. At Jaquet Droz, we definitely aren't planning to sell just automatas. While the first automatas seemed like mechanical magic, they wouldn't evoke the same degree of wonder in the beholder today. Jean-Christophe Babin, CEO of Bulgari, on creating history for the wrist, and fusing Roman designs with local sensibilities to bring out the very best. For us, everything starts from the jeweller. As Italian jewellers, we have created a style, a name and a dream totally different from any other jeweller, which is the strength of Bulgari. And this comes from Rome, which is unique. My vision for Bulgari jewellery is the fusion between the best of Swiss watchmaking technology with unique Roman artistic patrimony. It's magnificent architecture, it's bold, it's Roman. And it obviously attracts people with self-confidence, a strong character and a very strong sense of artistic difference. Sometimes, simplicity is the biggest complication. L'Ammiraglio Del Tempo will probably be one of the best pieces of Basel 2014 because it's the first time that a company has brought together a completely new escapement, and the challenge has been to miniaturise it. With the cylindrical spring, which is very different from the traditional springs, combined with the Westminster minute repeater, it is sure to stay in watchmaking history for ever. Lucea is Latin for light, and light is of course the utmost expression of jewellery. Inspired by the iconic snake of the forties, Lucea has a commanding presence, whether in steel or gold. The design is inspired by one of the most famous monuments in Rome - the second century BC Basilica de Majencio. It also has a sportier version - the Octo Maserati, made in collaboration with the Maserati sports car and limited to just 1,914 pieces. India is, of course, a must-be place. It's currently not a huge business, but the market will open further. When it comes to localisation, we are interested in jewellery popular in a particular place - such as the jadestones in China. Similarly, we are trying to identify jewellery with an India connect for Bulgari. Stephen Urquhart, president of Omega, speaks on what keeps traditional watchmaking ticking in this age of computers and coffee machines. Back in 1957, Omega had a fantastic collection, complete with the Speedmaster and the 300. We had a difficult time, like most brands, in the 70s and 80s, but Speedmaster got through the period quite unscathed. The new Constellation (the old one was a very classical one) was launched in 1982. Today, we have brought back the original symmetrical design for quite a few iconic models, even the Speedmaster. The new 300 is the near-exact replica of the '57 model - a little bigger, maybe, and the qualitative aspects have been improved upon. In my short life, I have learnt never to say never. We tried incorporating new technology earlier, and consequently, Omega was one of the first watches to come out with the auto-Quartz movement. Nobody here is saying that the mechanical watch cannot be done differently, but if you look at the mechanical watch that is desired and cherished by the vast majority of the people in the world today, any change in the movement should be within - where you cannot see it. The balance spring was a big step forward, and the same goes for the master co-axial movement. It's not something you can see, but it does have an effect, and our customers across the world notice that. Take, for instance, our progress in countering magnetic fields, which are in everything we use. I think it is quite a big breakthrough. Everybody's asked me about smartwatches. Well, what do you want me to say? I use a smartphone, so maybe we could buy a smartwatch for fun. Well, the other day my son bought this smartwatch for $250, which has GPS-enabled applications and 3,000 golf courses on it. Well, if you can see, it's not the same business as this... we had this back in the 70's and 80's too - this technology was there (okay, it's more sophisticated now for sure). But it did not replace the mechanical watch then, and I don't think it will now. If it does, well, I guess we can all go back and find something else to do.